Sometimes things in life line up perfectly. 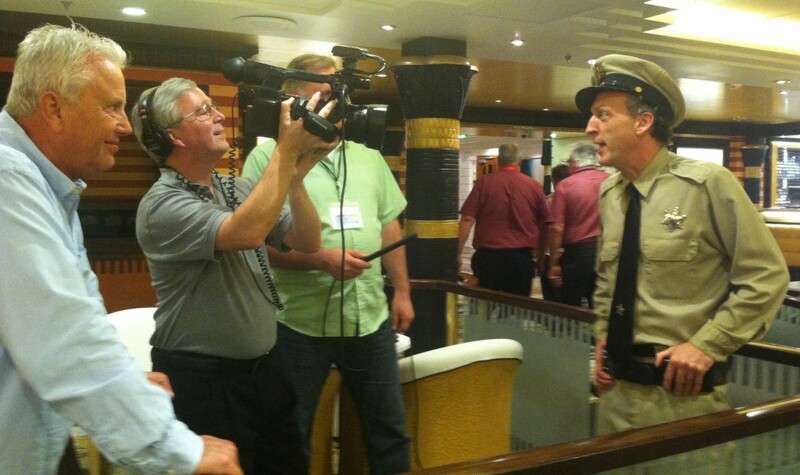 I spent last week on a cruise ship entertaining fans of the tv show “SMALL TOWN BIG DEAL”. The TV show brings uplifting stories to viewers across America. It’s really, really good. The hosts Rodney Miller and Jann Carl are a great pair and they took a chance on having me be part of their “family” for a week. I got to perform a one hour comedy show and patrolled several times as “Barney Fife”. It was just a blast. This group was on a VINTAGE TRACTOR cruise and my audience was primarily farmers with a huge affection for International Harvester. They were 140 strong and the nicest people you have ever met. Also performing on the cruise for this private group was Annie & the Orphans as well as Penny Gilley (Mickey’s second cousin). Great music and fun times. Just wanted to let everyone know they should check out the tv show. 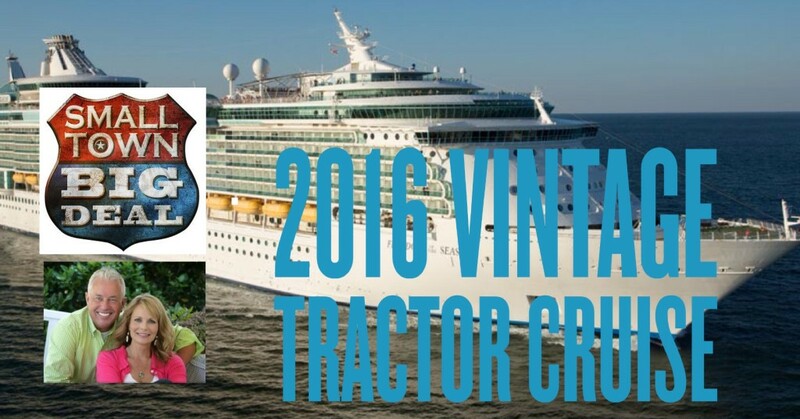 It airs on the RFD-TV NETWORK and is growing in Syndication across the country. Look them up! One of the absolute best perks of my job is seeing our great country. When I first started in Columbus, OH on 1991 I had only visited 10 states – Florida, Georgia, Illinois, Kentucky, Louisiana, Maryland, Missouri, Ohio, Pennsylvania and West Virginia. Now, I have performed or spoke in all but 6 (Rhode Island, Connecticut, Maine, Washington, Oregon, Hawaii). While I have found truly beautiful places along the way – Boise, ID really is a hidden treasure – I was completely blown away by a trip to Anchorage, AK. 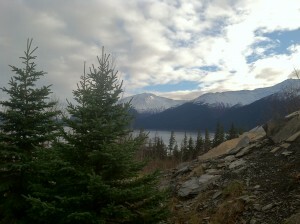 While performing for the Mat Su Health Foundation at the Aleyeska Resort in Girdwod, AK I was treated to pure awe. You literally couldn’t stand anywhere and not want to take a picture. Breathtaking beauty is everywhere … I love my job! After the Friday night performance, I had all day Saturday to sight see. I had to wait until after 9:30 am for the sun to come up. So I had a great breakfast and made a short list of where I wanted to go. On the drive out of Seward I had to pause for two moose to cross the road. The first a female and the second an apologetic male chasing after her. He probably had said something stupid. My first destination was the Alaska Wildlife Conservation Center (although I stopped 12 times before I got there to take snapshots and videos of the mountains and waterways along Highway 1). This awesome spot allows you to get out and walk or drive around a two mile loop and see everything from Elk and Moose to the rare but expanding herd of Wood Bison and Bears. For less than $15 it was a true bargain. 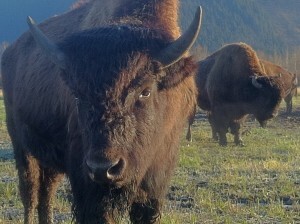 At one time thought to be extinct, the mighty Wood Bison is on the rebound with a little help. About an hour South of Anchorage on the Kenai Peninsula, I got to see a glimpse of the ever retreating Portage Glacier. Hundreds of years ago the glacier was estimated to be about 14 miles long. In 1986 a Visitors Center with stadium seating and floor to ceiling glass windows was built so travelers could view the glacier from a warm and windless spot. Sadly, the glacier is no longer even visible from the visitor center (although you can take a boat ride to see it). It’s current size is approximately down to 6 miles. Impressive nonetheless, and thought provoking to say the least. I stopped at various pull over areas all afternoon and saw salmon swimming in a river inches away from the shore. I felt like grabbing them and firing up a grill! But, they leisurely swam away. I watched Bald Eagles soar and stopped a hike short when I noticed a set of bear footprints. They were big and so deeply sunk in the ground I knew it had to be one heck of a specimen. I didn’t want to stick around and find out! Overall, this has to be the best scenic trip I have ever taken. It was an arduous 15 hour travel day from home – but well worth it. As I walked through the airport Sunday morning I checked the departure screen. I noticed that a flight to Hawaii was about to board and it’s only 5 1/2 hours … hmm … that could knock another state of my list!